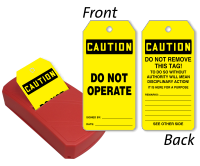 Get the best-in-class OSHA Caution - Do Not Operate Tags in a convenient and handy Take-A-Tag Dispenser. • Convenience, storage, and simplicity - get all in Take-A-Tag Dispenser. • Constructed of lightweight plastic, the dispenser is mountable and portable, so you can take it on-the-go. 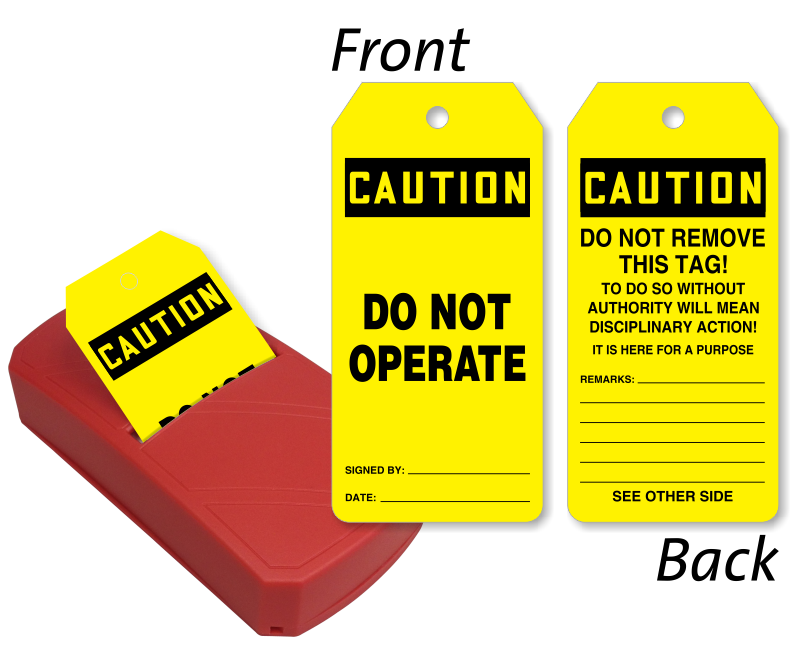 • Dispenser is reusable as you can refill it with a pack of tags, sold separately here. Handy dispenser and tags are easy to write on. They hold up well outside too.